The past few weeks we have been focusing on finding our target market and creating a product they will use. Now with this week’s readings we are focusing on branding and marketing our product to pull in our future customers/users. In A Social Media Guide for Startups and Entrepreneurs, Samuel Edwards gave great tips on using social media to market a product. One of the key takeaways I got from this article was to start with a social media strategy. 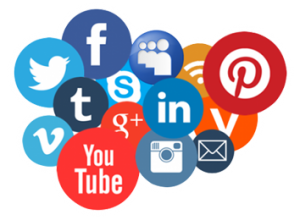 When it comes to business branding, everyone is saying “use social media, use social media.” Using social media is simple, however using social media for branding gets tricky. There’s Facebook, Twitter, Instagram and our beloved Snapchat. But how does an entrepreneur decide which platform is best for their product? Should he or she use only one platform or a combination of many? The article 4 Ways to Create a Marketing Strategy for Your Small Business , better explains how to create a marketing strategy. Jeffrey Hayzlett tells us to first determine our objective. An entrepreneur must know exactly what message they are trying to get across and what specific outcomes they would like to see. Now of course, entrepreneurs want people to use their product. It gets deeper than that though. Do you want to increase Twitter followers? Do you want already Instafamous people to promote your product? Or do you want vloggers to review your product? In Kissmetrics: How marketing funnels work, we learn that a marketing funnel is a set of steps a visitor needs to go through before they can reach a conversion. Below is a diagram of the marketing funnel. In Entrepreneur: The basics of branding, we learn that defining your brand is the most important part of branding. The article compares defining a brand to a journey of business self discovery. We need to know what our company mission is, what are the benefits of our product, what do customers (future or current) think of our company and what qualities do we want associated with our brand. The hardest part about branding is finding what works for your company and it’s goal. Too many people are busy trying to duplicate what another company is doing. It’s smart to look at the competition but that doesn’t mean using their strategies and ideas. We must continue to differentiate ourselves, as we learned earlier in the semester. It’s all about creating your own product that people will love, respect and use.